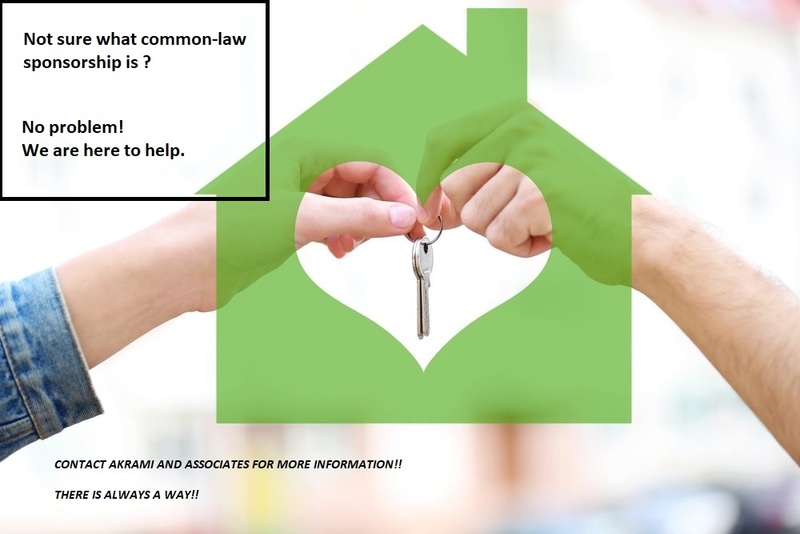 Do You Have A Common Law Partner? Are you and your partner hoping to live together permanently in Canada someday? Have you and your partner already been living together for more than a year? If so, you may qualify as a common-law partnership. If you legally qualify as common-law partners, you may be eligible to apply for spousal sponsorship as common law partners, and achieve your dreams of living together permanently. Oftentimes, people believe that because they are not legally married, they do not have the option of applying for spousal sponsorship, however, this is not the case. As mentioned, if you meet the requirements of a legal common-law relationship, you may be eligible to sponsor your significant other, and help them achieve permanent residency. This article will help you understand the legal requirements of a common law relationship, and what you can expect the process of sponsoring a common-law partner to look like. proof of share utilities, using the bills. If you cannot provide any of these documents, it is important to submit a detailed explanation as to why you could not do so. While it is not essential that you provide all of the above documents, a more comprehensive application will help the immigration officer reviewing your case believe that your relationship is in fact genuine. It is more important than anything else that you prove to the immigration officer that your partnership is genuine, as individuals often attempt to sponsor a spouse for the sole purpose of helping them achieve permanent residency. While the Canadian government prioritizes reuniting families in Canada, they are aware spousal sponsorship program is often taken advantage of, and ultimately do their best to avoid this occurrence. Once you have established you and your partner can apply for common law sponsorship, it is time to make sure the application is completed successfully. There are things that both the sponsor and the principal applicant must do, these are as follows. The sponsor must ensure they are eligible to be a sponsor. This means you must be at least 18 years old, and have permanent residency status in Canada, or be a Canadian citizen. If you are a permanent resident, you must be living in Canada to apply for spousal sponsorship. Likewise, being detained in a jail or prison disqualifies you as a sponsor, as does having any outstanding family support payments or immigration debt. Also, if you have defaulted from a previous sponsorship or are receiving any kind of social assistance other than disability assistance, you are most likely ineligible to sponsor. Furthermore, in your application to sponsor an individual, you must state that you are taking on the financial responsibility of helping your significant other become established within Canada. Stating that you are taking on the financial responsibilities of the principal applicant means you assume the responsibility of ensuring they have the basic necessities of life. This includes food, clothing and shelter for a minimum of three years. Please note, if you are refused as a sponsor, the individual you wished to sponsor is still eligible to apply for permanent residency in Canada. Though, they will have to go through the same process as others who apply for permanent residency. To be eligible as a principal applicant, you must be considered an admissible traveler to Canada. There are a variety of reasons you could be inadmissible to Canada, which includes but is not limited to having a criminal record, having a health issue, misrepresenting yourself to the Canadian government in the past, or having an inadmissible family member. It is very important to ensure that all documents are completing thoroughly, signed, and included in the application. It is important to understand that, the application to sponsor and the principal applicant’s application must be submitted together. On the application, you will have the option to have Canadian immigration services stop processing the application if you are refused as a sponsor. If you do not select this option, the application will continue to be processed and a final decision will be given once it is complete. It is not always the case that an ineligible sponsor cannot sponsor their significant other, though, you must have also applied for humanitarian and compassionate consideration to have the immigration officer overlook your ineligibility. Applying for common-law sponsorship can be very confusing and overwhelming, as there are different types of requirements that you would need to meet. It is important for you to pay close attention to every detail during your application process. The failure to do so could result in application refusal. Ultimately, it could make you ineligible to sponsor any individual in the future, or make you inadmissible to Canada if you are the principle applicant. Therefore, it is highly recommended that you seek professional help. Here, at Akrami & Associates, we work and have experience with many different immigration issues. We have helped many of our clients obtain permanent residency in Canada through the common-law sponsorship. If you have any questions regarding common-law sponsorship, or if you would like to book a consultation with an immigration professional for more advice, please feel free to contact Akrami & Associates at 416-477-2545.